Finally I have some finished projects to show! 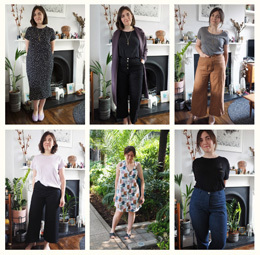 (I’ve been working in-house for the last month hence my sewing and blogging productivity took a nosedive – renewed respect for anyone who manages to juggle them with a full-time job!) 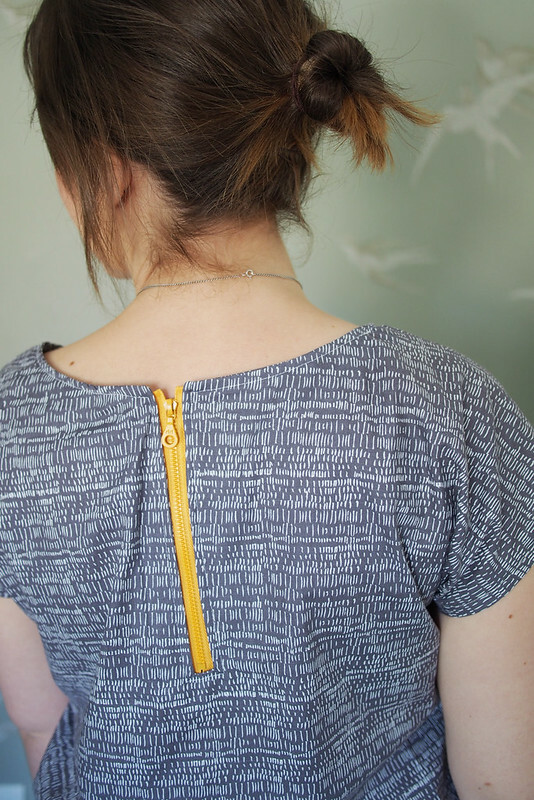 You probably saw references to this pattern cropping up a few times during my #MMM – the Zippy Top by See Kate Sew. I only bought the pattern in April (during a 20% off period) and it’s more than paid for itself in finished garments already. It may seem pretty basic, but the drafting is really great and it also has a nifty way to insert that back feature zip that I wouldn’t have figured out by myself, so I still think it’s worth the quite steep $12 price tag. 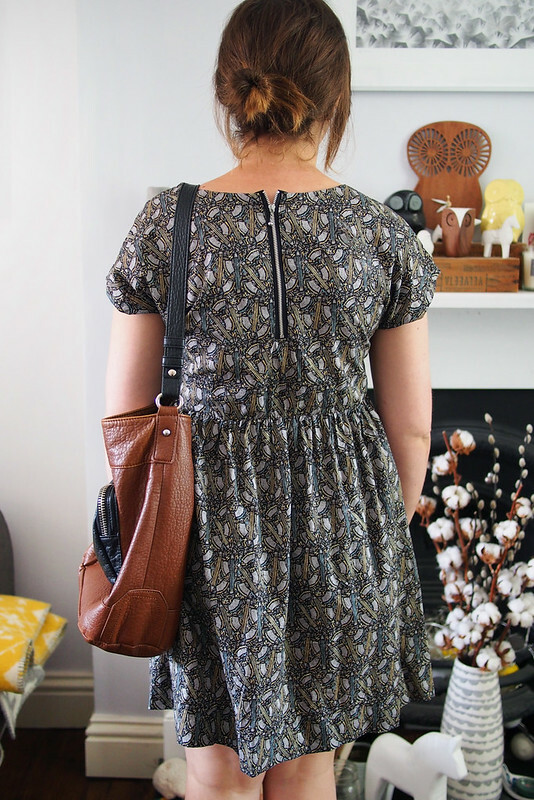 You can also easily hack the pattern into a darling smock dress, so it’s really two patterns in one. 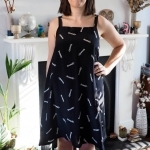 It’s a speedy and thrifty sew, as you can fit the top onto 1m of 52-60″ wide fabric (1.5m of 44″ wide) and easily make it up in one quick sewing session. It works with nearly any light/medium woven or knit fabric, from quilting cotton to viscose jersey. My first one was made from the quilting Annali Collection by Dashwood Studio, available here or here. I’ve found the neutral grey goes great with coloured chinos or jeans, and it drapes amazingly well for a quilting cotton top with no darts or shaping. The pattern has a cool/weird uterus-shaped neckline facing to get a nice clean edge on that back exposed zip. I bought a big job lot of mixed zips from eBay, and there were a bunch of these cool neon plastic chunky ones in there; perfect for a statement contrast on the Zippy. Photo yanked from MMM to show my second zippy, with no zip but an added draped front pocket. It’s made from a vicsose jersey from Minerva. The pattern needed no alterations to work with a knit (besides leaving off the zip and facings), and this is basically a perfect t-shirt to me. 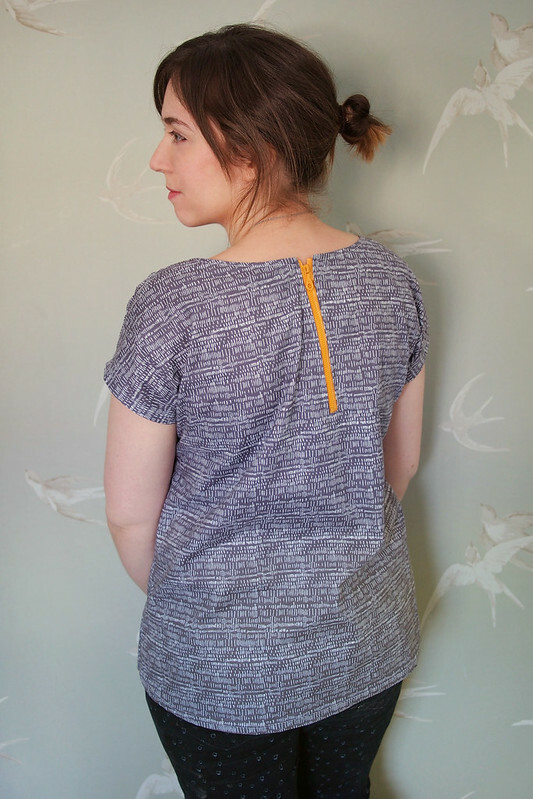 It might wean me off my cheap high-street-basic-tee habit and make me start sewing my own. Minerva just got a whole load of brilliant new jerseys in, which helps – I’ve got some gold and grey to make more of these. My third Zippy is a frock version using my dreamy Shavings & Sharpenings Liberty tana lawn from Shaukat and Kate’s tutorial. I tapered down two sizes at the base of the bodice so it comes in a little at the waist rather than hanging too wide (I can still easily pull it on and off), and also made the skirt panels A-line rather than rectangular to avoid too much bulk at the gathered waistline. I treated the special fabric with the respect it deserves and it gave it neat and tidy insides. The skirt top is with gathered with elastic and overlocked to the bodice. There’s a nice deep blind hem to help it hang properly. As I mentioned before, it could just do with a skirt lining or slip to stop it sticking to tights, but it’s perfect with bare legs for the summer. Since than I’ve made two more tops: a polka dot silky poly one, and another knit one using some of the fabric I scored in Quito, which I wore yesterday. As you can tell, I’m smitten with this pattern; the things I’ve made with it are real wardrobe workhorses and you can get such a different look with different fabrics and embellishments. Definitely a TNT pattern for me. What do you think, are seemingly simple patterns worth investing in sometimes? Absolutely! I love Graineline’s Scout for the same reason. I’ve made 3 and the only thing that stopped me making more was pregnancy! Love the look of this pattern, and all of your versions. I will need to check this pattern out. I want more Scouts too actually, the Zippy is currently winning because it doesn’t even have set-in sleeves… think I just reached peak lazy. Looks like a definite tnt for you. It fits with your style perfectly! I love the contrast yellow zip of the first one! these are all great tops! i absolutely agree that paying for a good draft of a basic shape is worth the investment. those staples are worth their weight in gold for their versatility! i had passed on this pattern because i confess to being skeptical of the drafting. however, your use of the pattern definitely changes my mind, and i’ll keep it on my radar! Yeah, i’m increasingly going for the latter these days – I know what I wanna wear! There’s about 4″ ease in the waist, and I guess the back zip means there’s a bit more upper back wiggle room too. I’ve made 1 and a half of these; I love the pattern because it is so quick (2 kids…). Hadn’t thought about making it into a dress, I will definitely have a go at that, your one is so lovely. I really love the yellow zipper in your first top…it looks fantastic! And it’s great that you can hack this top into a dress..the pattern that just keeps on given. 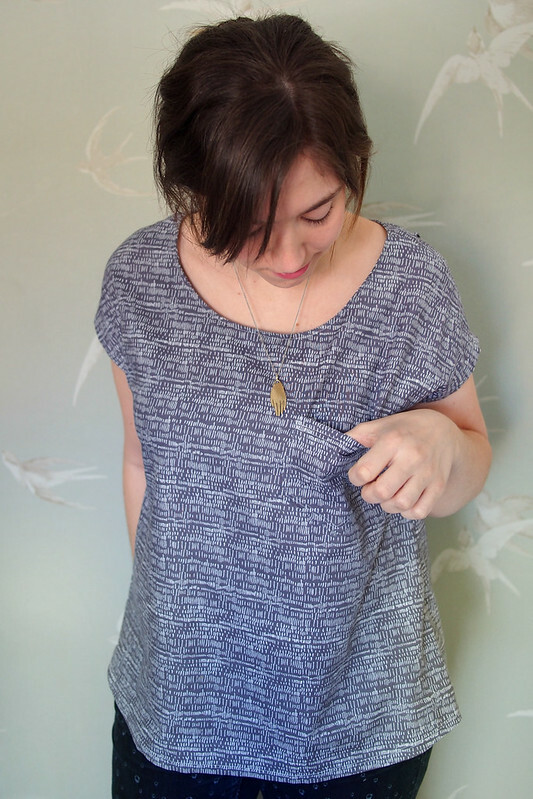 I love the look of woven tees, but I just don’t wear them in Real Life….I’m tempted to give this one a go as I like that the sleeves are not set in. I never used to wear them much either, I think it’s just finding a shape that’s really comfortable for you. 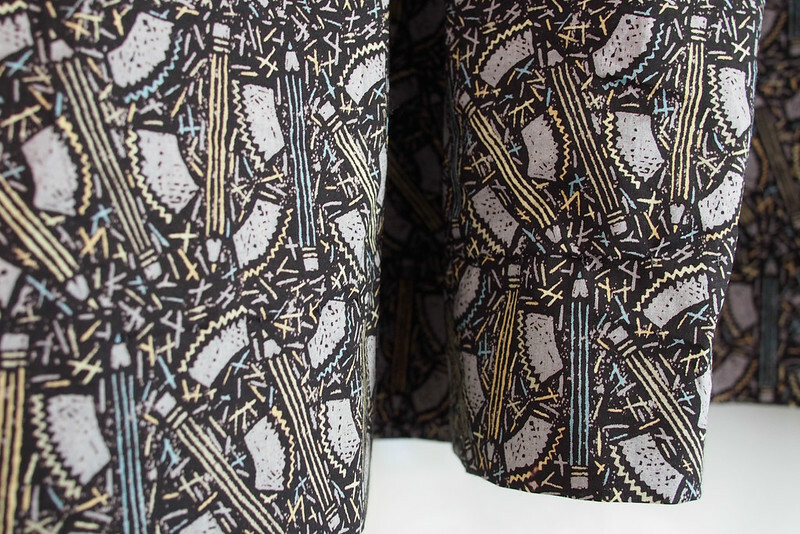 Personally I love kimono sleeves and plenty of ease, like this pattern offers. I love seeing how you used the patterns multiple times! That’s one of my favorite things about sewing…just how different the same pattern can look based on simple hacks or even just fabric changes! These are suuuuuuper wearable and they don’t look like they came from the same pattern at all! It makes sense to spring for nice basic patterns as that’s what you’ll end up wearing all the time, unlike some of the expensive patterns I have in my collection for things like cocktail dresses that I will only make once. It’s great the same pattern looks completely different depending on the fav ric used/ length! I can see why this would be a TNT pattern, I would love to have a bunch of the jersey ones. The one with the yellow zip looks very chic! Haha, it was all I could think when I cut the fabric! Weirdly biological. I love all of these, especially the Liberty dress and the yellow zip. And I just spat tea all over my keyboard at “Uterus shaped facing”!! i spent some time last week going through your archives. 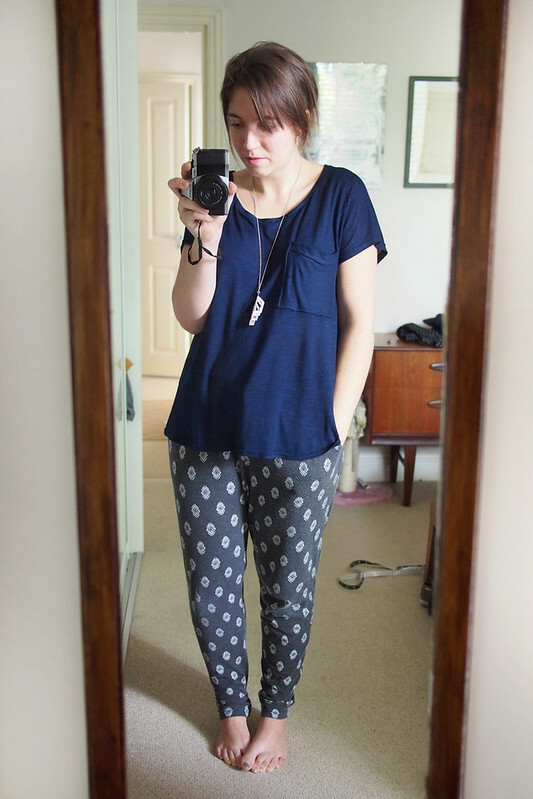 I love your wardrobe and all the simple patterned tops that you make. This is another great one! By the way, wondering if you could tell me if the zipper technique in this pattern is done differently than in this tutorial by pattern runway. Thanks! Yes, it’s different since this pattern doesn’t have a back seam. Not that it was a very expensive investment at the time (less than $10), but that’s what i think about my Grainline Scout pattern. I’ve just finished my fourth version and I haven’t even done a dress version yet! They’re a great collection! I’m such a fan of repeat offences if you’re happy with the initial basic version. It saves time, and when your ‘cost per make’ decreases with each pattern use it is so much more economical. I’m very guilty of repeat makes and am not bothered by it at all! Keep on zippying! Really great tops! 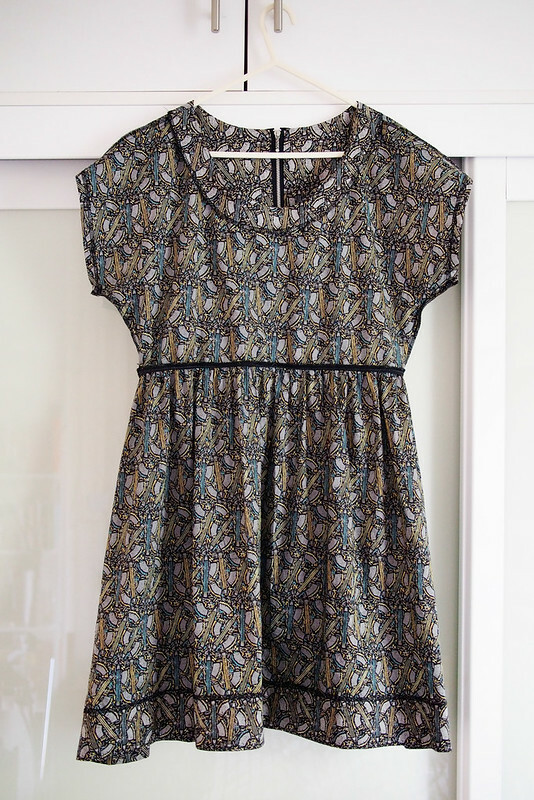 Especially the dress is a great variation. 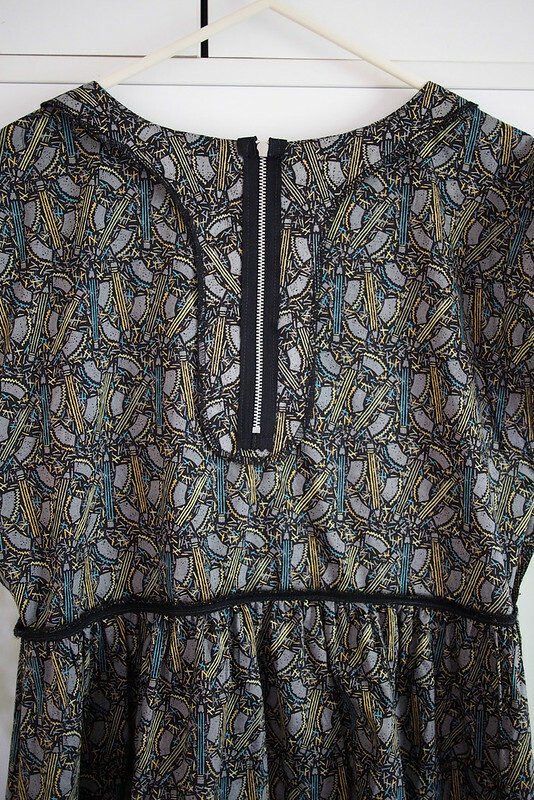 I am tempted…..BUT I just bought the Belcarra Blouse which is similar….I hope it will be as versatile! 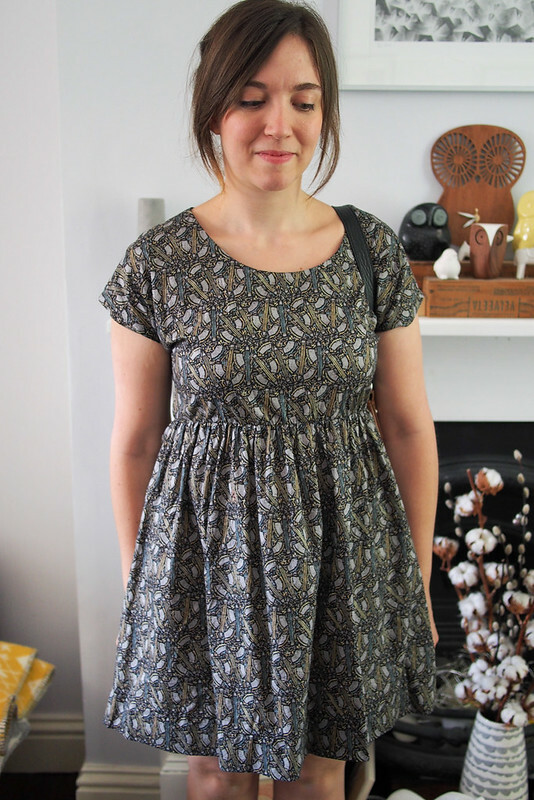 I love seamingly simple patterns, they are great for everyday wear and as I am still a beginner I can get pretty good looking results with them. 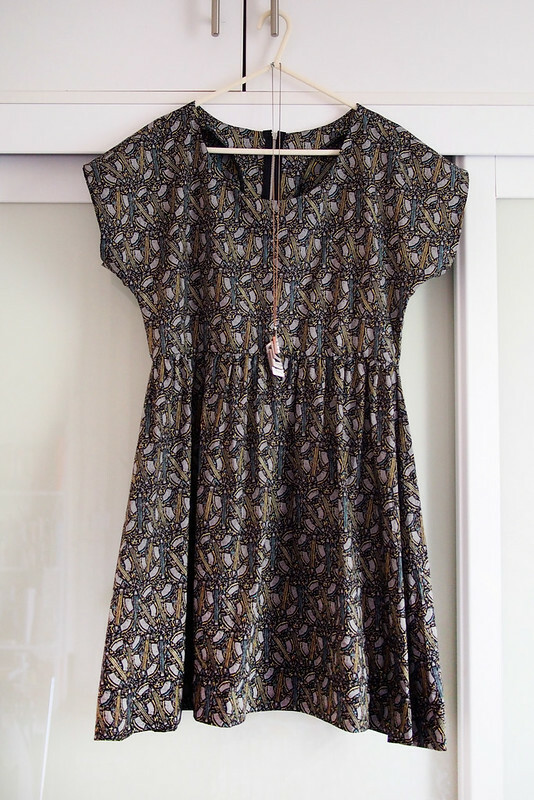 And thanks for showing the inside of the dress – I think I figured out the zip construction! I want to use an exposed zip on a laurel. Absolutely love that first zippy top with the yellow contrast zip! Beautiful fabric too. I have been thinking about getting this pattern (as I love wearing simple tops like this), and now I’m convinced! I’m so glad I’m not the only one who immediately thought uterus! This is the first garment I’ve ever sewn (I haven’t even finished it yet), but your treatments of it are an inspiration. Onward! Oh you’re right, pocket placement is a tricky art. I have to drape the front over myself and pin it into what looks the right place every time. I think for my first zippy here I used the pattern piece from the Grainline Tiny Pocket tank. Glad I’m not the only one with pocket issues! I have had a crack at it, using another t shirt as a guide. Thanks for the advice.